Contains the complete albums: "Chamber Music Of The New Jazz" (Argo LP, 1955) "Ahmad Jamal Trio" (Epic LP, 1955) and "Ahmad Jamal" (Epic LP, 1955). Argo's Complete 1956 Session/LP "Count 'Em 88" + 2 tracks from Okeh's 1951 Session "Ahmad Jamal's Three Strings". This 2-CD set contains Ahmad Jamal's complete trio recordings with guitarist Ray Crawford and bassist Israel Crosby collected here for the first time ever on one edition. This release boasts all of these albums in their entirety including the complete May 5, 1962 Piano Scene session (with Eddie Calhoun replacing Israel Crosby on bass) that was originally released as part of Epic's 1955 Ahmad Jamal album, featured here as bonus tracks. 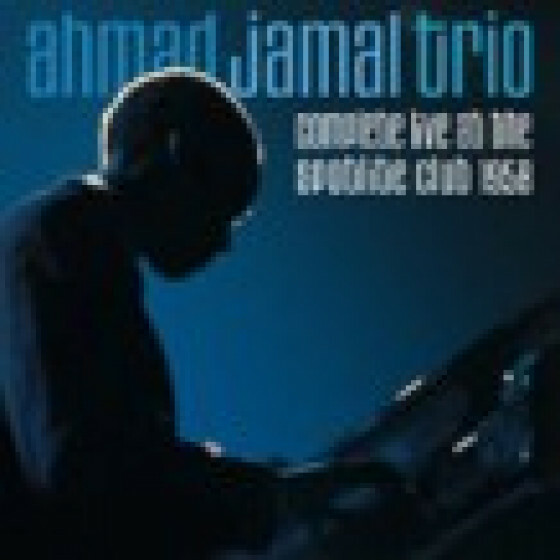 CD1: Ahmad Jamal (p), Ray Crawford (g), Israel Crosby (b). Chicago & NYC, 1955. CD2: Ahmad Jamal (p), Ray Crawford (g #1-11), Israel Crosby (b #1-5,12-21), Eddie Calhoun (b #6-11), Walter Perkins (d #12-21).